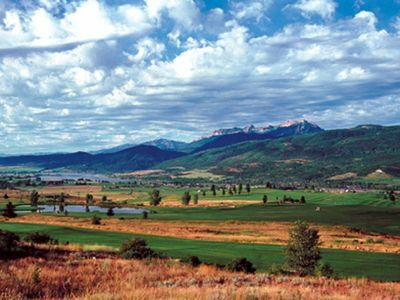 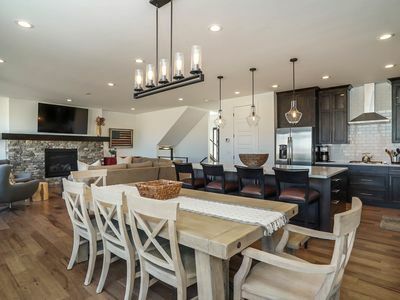 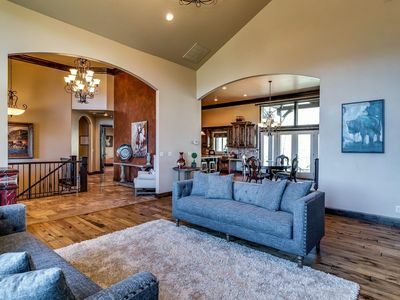 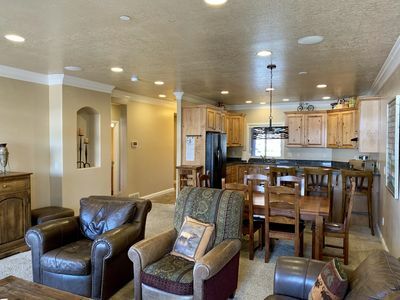 Welcome to this Exclusive Ski and Mountain Getaway property, located in the mountain paradise of Eden, Utah, near 3 ski resorts: Snow Basin (home to the 2002 Winter Olympic ski races); Powder Mountain (bus stop about 100 yards from the property); and Nordic Valley. 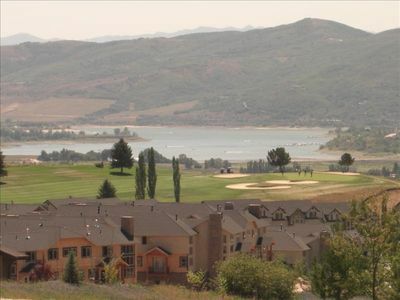 This valley offers wonderful outdoor recreation year-round at great value. 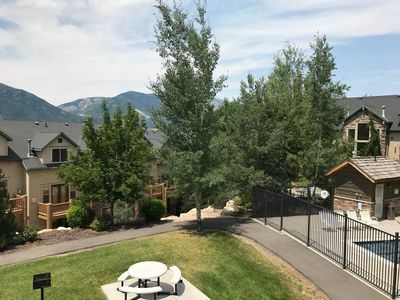 This 3 bedroom, 3 bathroom property offers privacy, beautiful furnishings, a patio (near one of our community hot tubs), a deck, radiant heating, TV, internet, etc. 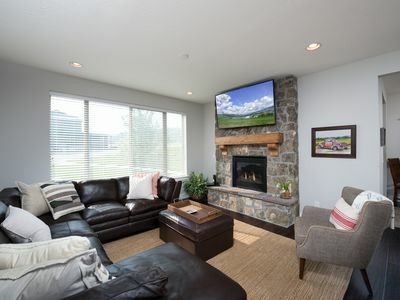 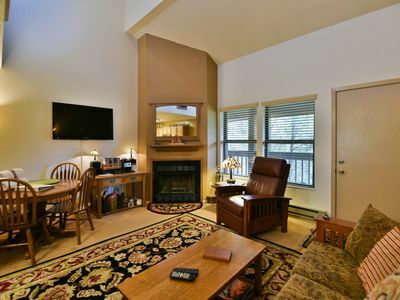 As you enter the property from the main floor you will find a family/living room with a cozy fireplace, a kitchen with seating area, and a queen size bedroom with an adjacent full bathroom. 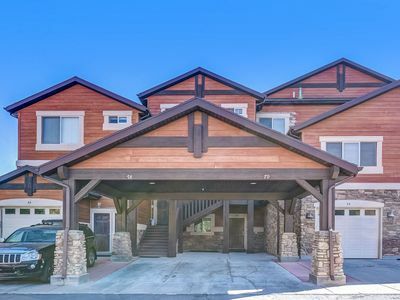 On the lower level you will find a spacious private king master suite with full bathroom adjacent to a private back patio with easy access to one of our community hot tubs. 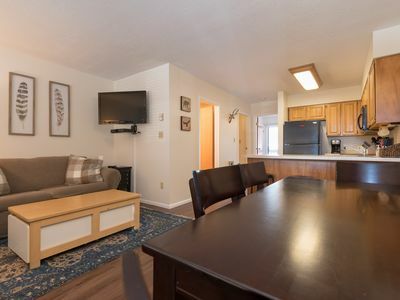 and a third bedroom with a bunk bed (double on bottom with a pull-out trundle and twin on top) with an adjacent full bathroom and a full laundry room with all amenities. 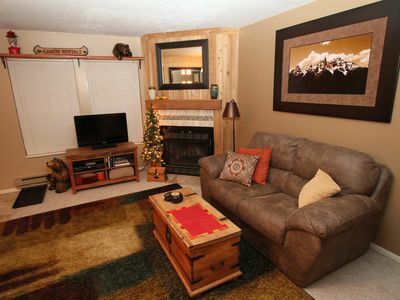 Enjoy beautiful sunsets, relax on custom made and hand-crafted furniture by Lodgepole Designs. 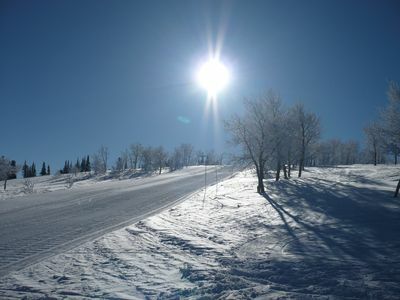 You will fall in love with this mountain paradise and we hope you will return to enjoy this beautiful place! 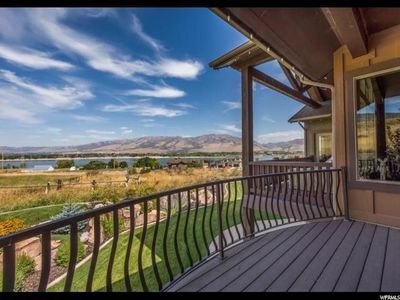 Deck off of main floor family room - incredible views to the west. 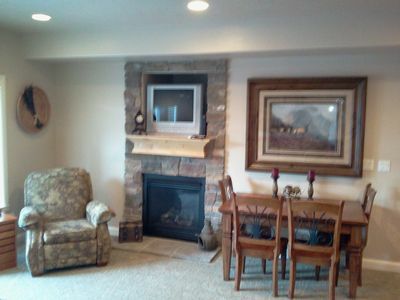 Private walk-out patio off of king master suite (close to one of our community hot tubs). 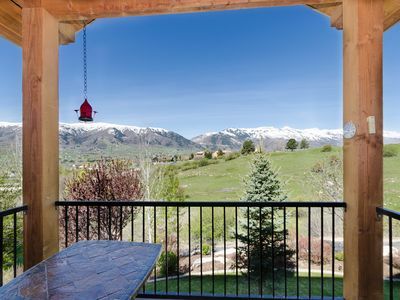 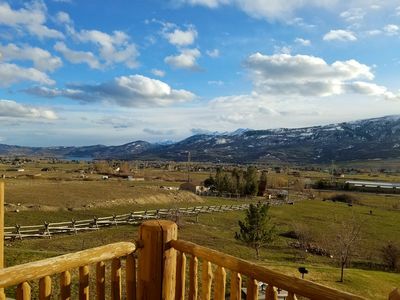 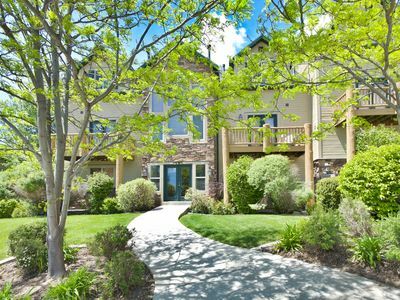 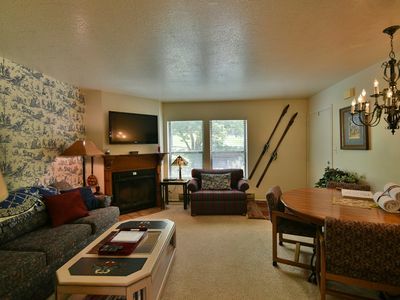 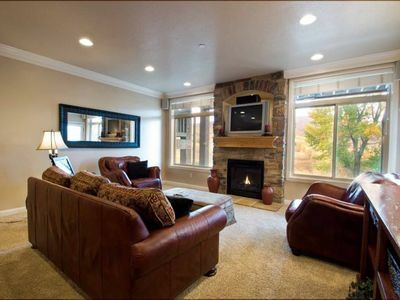 Powder Mountain, Snow Basin, Wolf Mtn Ski Condo with a Spectacular View! 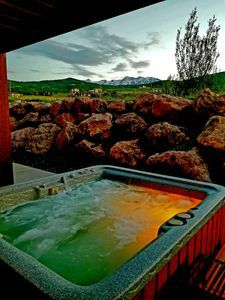 Best Value 2 Bdrm Luxury Lakeside - Snowbasin - Pineview -SKI-BOAT-FAMILY!